How to Get Rid of Wrinkles! When considering wrinkle removal treatment, it is important to go to an experienced practitioner who is medically trained in the facial anatomy. Depending on the amount of areas being treated, a Botox appointment can be done in as little as 15 minutes, so yes it can be all done in your lunch break. And the bonus is with no down time no one in the office will ever know! During the wrinkle removal treatment consultation, we will discuss and assess your needs with you. 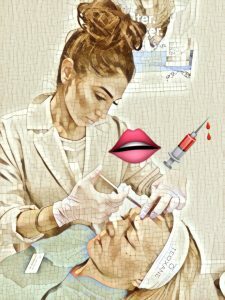 Once the facial anatomy is assessed, the treatment areas are disinfected, and the Botox is injected at several points. Overall there is mild discomfort for a few seconds and a numbing cream can be used prior to this as required. The results of the Botox can be seen 2 weeks post treatment and typically last 3-6 months depending on the client. Side effects may be associated with the injection (bruising, redness, pain, burning, stinging, swelling). If present, they generally occur immediately after the injection and although temporary they can last for the first few days. Most patients do not experience any side effects. Other side effects can include: headaches, drooping of the eyelid, skin redness, local muscle weakness and facial pain. If you are unsure about the wrinkle removal treatments or how effective they will be for you, we would advise you to book for a FREE consultation where we will talk you through your concerns and can advise you on what to expect. You can also read more about the wrinkle removal treatments we offer on our website. Below are some recent examples of patients who have had Botox wrinkle removal treatment with Dr Aneka Khaira to relax their forehead lines. After all, a little Botox didn’t hurt anyone? What is Botox and is this everyone’s best kept secret? 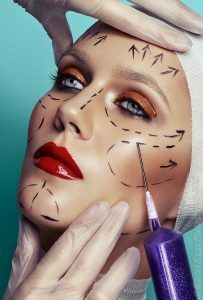 Botulinum Toxin, otherwise known as ‘Botox’ is the controversial, yet ever so popular treatment for fighting those lines. Undoubtedly Botox still remains the most effective and fastest working, anti-wrinkle treatment to date. What was once used only by celebs for wrinkle removal, is becoming more mainstream and affordable. In a world driven by social media, a culture of selfie taking men and women, yes men including, are under increased pressure to look like their real-life filters. The wrinkle removal treatment taboo exists as it defies the natural aging process and typically depicts the over-frozen expressionless housewife. The truth is your forehead can still be smooth yet movable and that’s the trick. However, not everyone wants to own up to a little help in the aesthetic department especially if it means them looking younger than their friends and truth behold there’s only so much that ‘magic’ face cream will do. On the other hand, wrinkle removal treatments such as Botox and fillers are the latest accessory in some age groups with celebs such as Kim Kardashian who publicly endorsed the treatment.